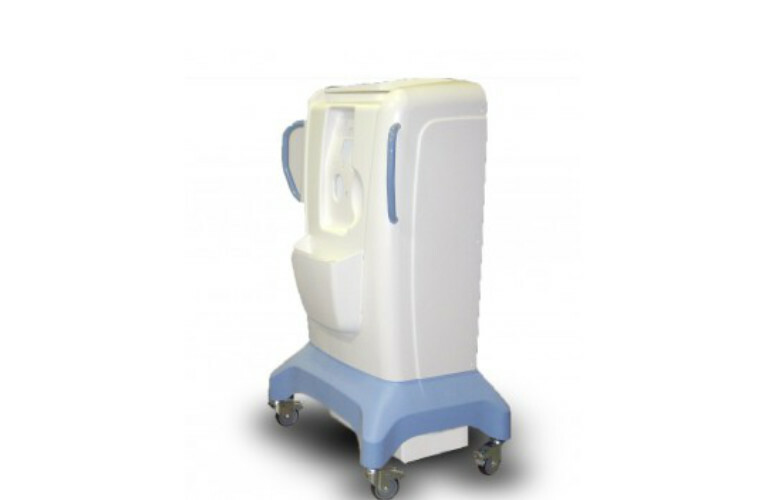 With the Lyon-based product design office DO MED, MGA Technologies has participated to the development and executed small series of medical trolleys used in hospitals for medical gases distribution in patients rooms. These trolleys are used in hospitals and clinics to distribute medical gases to patient rooms. Two trolleys, for one or two medical gas bottles, allow nurses to load these heavy bottles without effort. The trolley is equiped with a gas distribution system. All is mounted on a welded steel structure, with a thermo-cast plastic jacket and 4 hospital designed wheels. This very ergonomic design designed by DO MED gives to these medical trolleys a not only clean but also minimalist look well suited for hospitals environment. This trolleys are mainly used for the distribution of AIR LIQUIDE Medical gases. This system has also been adapted for dental application and for a portable device. Contact our commercial team to get a customized quote for a Do Med medical trolley.